Describe a typical day researching this book. I suppose, the most typical day consisted of hitting the British Library, and then idling away about seven hours flicking through ancient issues of Gramophone, Billboard, High Fidelity, Downbeat, Disc and the NME, and raiding their excellent sound archives. I spent some days, some weeks, actually, just listening to albums. And I did buy a small battery-operated turntable specifically to perch on the corner of the desk in my office so that I could spin discs while tapping away. Any tragic loss of an LP that’s still breaking your heart? For purely sentimental reasons, I mourn the loss of, what was most likely a terrible, sound-not-alike Beach Boys LP, I had as a child. It was one of those session musician jobs that were sold in wire racks in Woolworths and local newsagents, something like The Surf Men Pay Tribute to the Beach Boys By Playing Their Hits Quite Badly. I think I bought it with a voucher I’d received for my sixth birthday. It had “California Girls,” “Good Vibrations,” etc. on it and, from what I can only dimly recall, an image of a suitably sun-drenched beach on the cover. The LP vanished years ago, and the original versions of the songs, which I didn’t know then, have long since supplanted any real memory of it but I seem to miss it all the same. And, as I have no idea what it was really called, ebay, Gemm and so on are no use. Which might be just as well. Your last book, the bus we loved, turned you into the “bus man” at parties. You got really sick of talking about those damn phased-out routemasters. Any chance you’ll ever tire of LP chatter? Are you already? Is there any real evidence that it will come back? There is some. Wandering about shops in central London, I do find myself thinking, God I can remember when all of this was CDs. Certainly shops like Mister CD have gone. 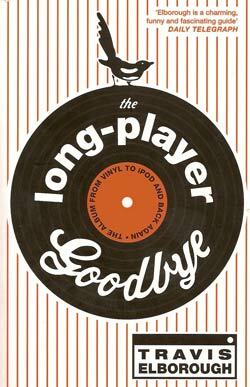 And last October even Amazon.com began selling LPs and a range of players. So sales of vinyl are up, but they still represent a small percentage — and it tends to be a niche interest. Singles have taken off again among the hip and young, apparently. Hayes, the plant in Middlesex immortalised on the Beatles sleeves and mothballed by EMI in 2000, and now in private hands, currently turns out something like 20,000 records a week. A far cry from the 250,000 a day it produced in the early 1970s, but not bad for a format supposedly consigned to the dustbin by its digital successors over a quarter of a century ago.